The phone scammers are at it again. The latest phone scam pertaining to the IRS involves criminals pretending to call from the Taxpayer Advocate Service or TAS. Thieves initiate calls to their intended victims pretending to be from the IRS. The recipient's caller ID will display the telephone number of the IRS TAS office in either Brooklyn or Houston. Calls may be robo-calls that request to have the call returned. When the call is returned the criminal will ask for personal information such as your Social Security number or individual taxpayer identification number (ITIN). Remember, the IRS does not initiate phone calls to taxpayers. The Taxpayer Advocate Service of the IRS will return a call after the taxpayer has already contacted the organization for assistance. These criminals will also call taxpayers and demand immediate payment of taxes by a prepaid debit card or wire transfer. Another tack the scammers will take is to tell the taxpayer that they are due a large refund but must first provide personal information. Scammers will often use fake names and IRS badge numbers. They may know the last four digits of your social security number. Scammers will have your caller ID read that the IRS or another law enforcement agency is calling. 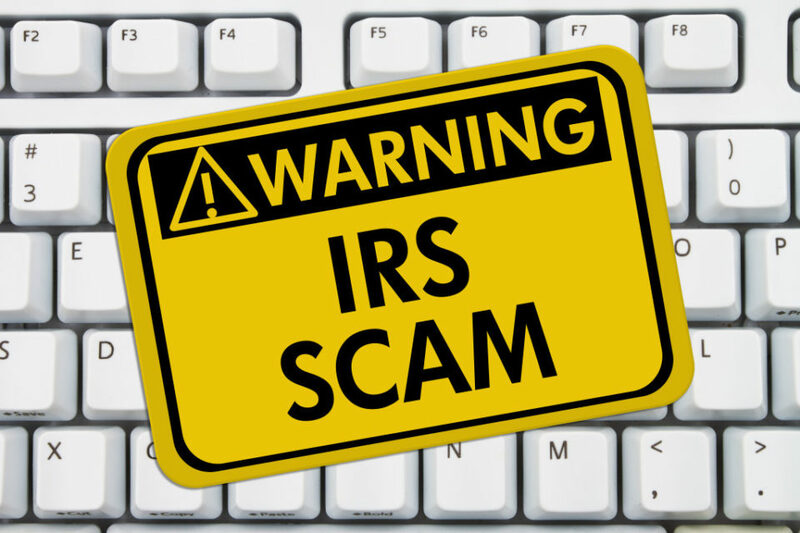 These criminals will send bogus IRS emails in conjunction with their calls. Victims may hear in the background other calls to mimic the sounds of a call site. The scammers will hang up after threatening significant penalties to include jail time or license revocation. Another scammer will shortly call back pretending to be from local law enforcement, and caller ID again supports their claim. The following maneuvers are frequently utilized when trying to scam a taxpayer. They are never done by the IRS! Call about an unexpected refund. Demand that taxes be paid without giving the chance to question or appeal the amount. Threaten to immediately bring in law-enforcement for not paying. Ask for credit or debit card information over the phone. Call to demand immediate payment using a specific method such as a prepaid debit card, gift card or wire transfer. Remember, the IRS typically will first mail a bill if taxes are owed. Fraudulent calls should be reported. If you think you have been the object of an attempted tax related scam contact phishing@irs.gov or 800-366-4484. Alternately fill out a form online www.treasury.gov/tigta/contact_report_scam.shtml. If you do receive such a call hang up immediately without giving any information.